Joyce - Prime Financial Credit Union Member Stories. Prime saved me money by refinancing an auto loan at a lower interest rate, when all I applied for was a personal loan! Joyce, a County of Milwaukee employee, applied for a personal loan. 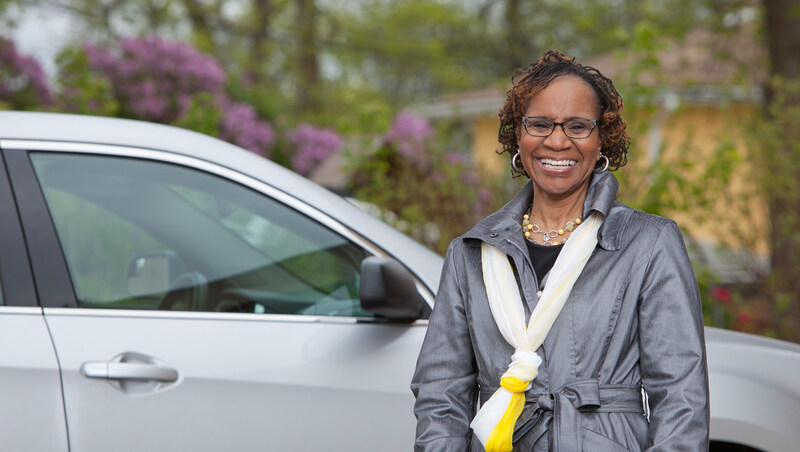 Upon reviewing her credit report, the loan officer identified an opportunity to save Joyce money by refinancing her auto loan from another institution. Refinancing her loan reduced her monthly payment, which resulted in a total savings of $8,000.00 over the life of her loan. Joyce is grateful Prime went above and beyond to help save her money. She’s formed a close bond with Frank at the Downtown Branch and knows that she will always be in good hands.